We can't hide the fact that fake Crocs are being sold anywhere for a very low price. But why get a cheap fake when you can avail of authentic crocs for a great price? You're also assured of the great quality of the authentic once. Check out this CROCS Clearance Sale that is actually ongoing right now. 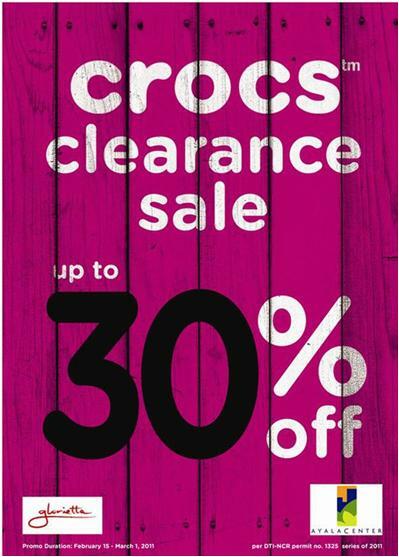 From Feb. 15- March 1, 2011, Crocs flip flops and slides will be 30% off at Crocs Glorietta. Hurry and take advantage of this sale!